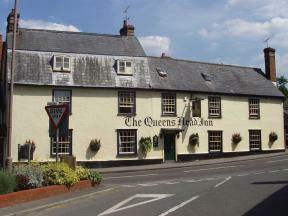 A traditional 14th Century Pub with six en-suite guest rooms. Food is served daily along with traditional ales and log fires. We are a privately owned free house pub restaurant with bed & breakfast accommodation that has resided at the heart of the pretty conservation village of Hinxton Cambridgeshire since the 16th Century. The Kings Head lies in the second largest village in the UK. A traditional pub offering cask ales. lagers ciders and old fashioned hospitality!